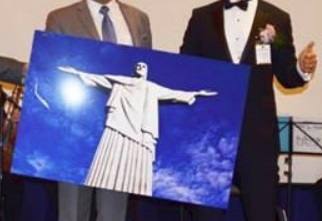 A photo of the Christ the Redeemer statue in Rio de Janeiro, Brazil, now has been used in a third recent scheme: WCM777. The photo was displayed from the stage at a June 17 “grand opening” event for WCM777 at the Pacific Palms Hotel in City of Industry, Calif., according to a WCM777 Facebook site. On Nov. 14, the state of Massachusetts said it halted WCM777 in the state, saying it was selling unregistered securities and that the scheme had been targeted at the Massachusetts Brazilian community. One of the sad realities of the increase in ‘net based crime is that, to fraudsters, the religious and the elderly make prime targets. They are considered to be “better” targets, easier to con, unaware of just how far fraudsters will go, more trusting and less inclined to complain to the authorities.